I planned to do a series on Git for a while. Then I thought maybe it had all been said already, so what’s the point? 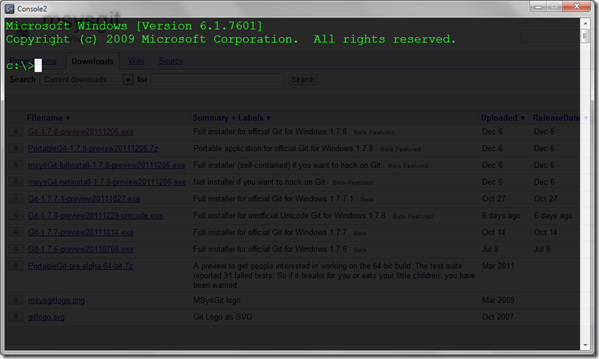 Then Phil Haack moved to Github, and I realized that a lot of .NET Developers were still completely oblivious to the existence of Git (or any DVCS), so I thought about it again. Then Phil Haack got you guys up to speed, so I went back to assuming it’s all been said. Over the past few days, I’ve realized that there are bits and pieces spread around the internet, but I haven’t seen anyone do comprehensive posts that put it all together the way I like it. I was able to share some tricks, tips, and tools with several different people this week that have inspired me to take a crack at this, so here it comes. I am using this image and this terminology for two reasons. The first is that I am going to try to spoon-feed this to you so that you’ll be up and running quickly and smoothly. The other is – I’ve had this discussion several times recently – I hope we can start to turn the .NET community away from a certain horrible stereotype (but that’s for another post). Note: what I’m sharing will obviously be my own preferred way of working with Git. You can (and should) use this only as a starting point. Then. continue to explore, evaluate, and think for yourself about how it can work best for you. Also note:Â this post will only cover the installation of Git and the basic tools I use alongside of it. There will be follow-ups to cover more advanced tools, what Git is, how it differs from centralized source control like TFS and SVN, best practices, branching strategies, etc. Beautiful – notice that the transparency will allow you to read instructions while executing the commands you’re reading about. Keep this in mind when you get to step 4. 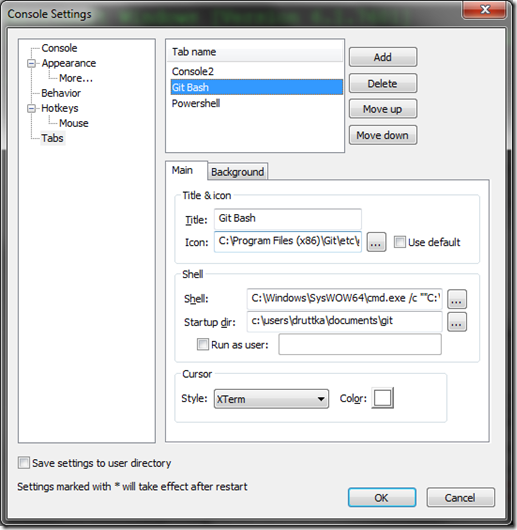 One more thing to be aware of – Â I often go ahead and run this app as an Administrator, especially when I’m engaging in tasks that are patently “setup.” Keep in mind that some of what we do from the command line might require elevation. This can’t be easier. 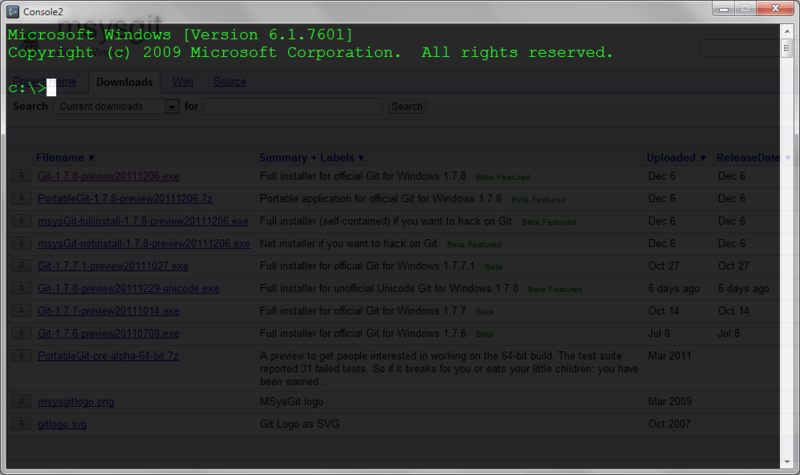 Go get the full installer for official Git for Windows from Google Code and run it. 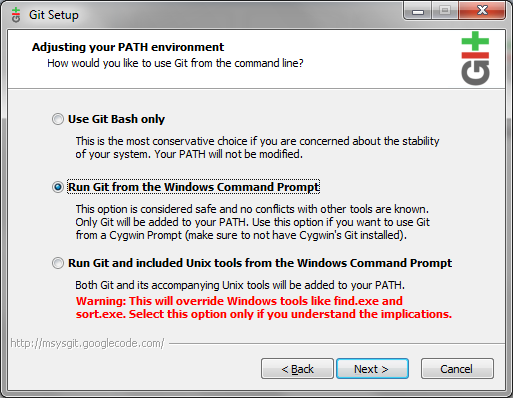 You should be able to take all the defaults except for one thing:Â add Git to your path by choosing the middle option on this screen. shell = C:\Windows\SysWOW64\cmd.exe /c ""C:\Program Files (x86)\Git\bin\sh.exe" --login -i"
So, Ctrl+F2 (or F3, or whatever tab type your Git Bash is). 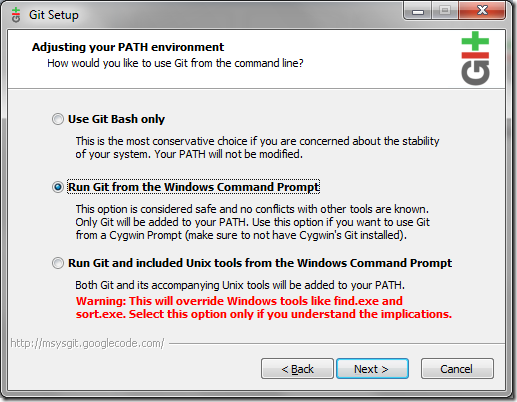 From the Git Bash run the following commands; I’ve added (verbose commentary). git commit  - m "Just foo"
Easy peasy; you’re now using Git! There are some additional tools and options that I’ll introduce in the next post, and then we’ll begin learning what Git really is and why you should care.